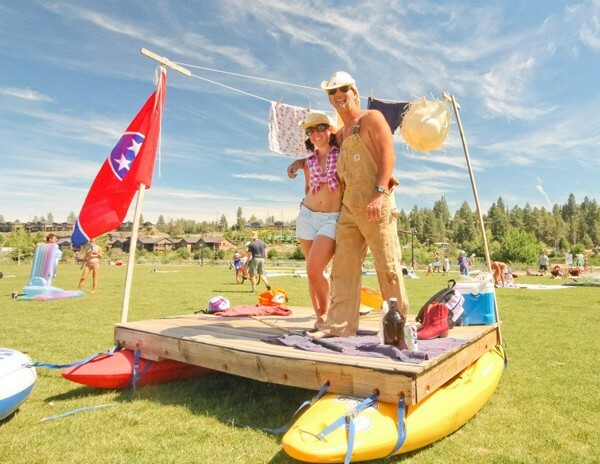 Floating down the Deschutes isn't just the average Bendite's favorite summer pastime, it's also a part of the city's history. Starting in the 1930s, Bend held a nearly annual Water Pageant, complete with floats (the kind that actually, you know, float), queens and kings, and soapbox derbies. And while that once-popular summer event petered out by the 1960s, a fondness lingers. The (Subaru of Bend) Outside Games is drawing on that nostalgia for its third annual float event, now called the (Pepsi) Freedom Float. As the name suggests, the event also takes a page from the Bend's popular Freedom Ride—and, like sporting events and coliseums around the country, adds a layer of corporate sponsorship. "In years past it was called Floatchella," says Bart Platt, director of promotion and events. The name was inspired by the summer music fest Coachella, but, he explains, "As you can imagine, the name left a little to the imagination." This year, Platt says, the goal was to make the event as accessible, and enjoyable, as possible. Though organizers had considered branding the float as a rebirth of the historic Water Pageant, they ultimately decided that was too involved. Traditionally, the pageant included the election of local queens and kings—similar, in many respects, to the Rose Court associated with Portland's Rose Parade—and a heavy focus on attracting local businesses to sponsor elaborate floats. "We decided we needed to change it up," Platt explains. "Since it's the weekend before Fourth of July, we're trying to recreate the Freedom Ride on water. That way, people will have a better idea what we're trying to do." While no preregistration is required, participants are encouraged to create colorful floats and show up in their most outrageously patriotic costumes—there will be prizes for both, including a stand-up paddle board, vacations, and gift certificates. Platt says he hopes a couple hundred people will turn out for the float. The Freedom Float is just one of a number of activities on the agenda for the Outside Games, which include a cruiser crawl, nature preserve hikes, cycle pub races, a fur ball and luau, paddleboard and kayak races, mountain bike clinics and races, a group road ride, flying dogs, yoga, slacklining and more. 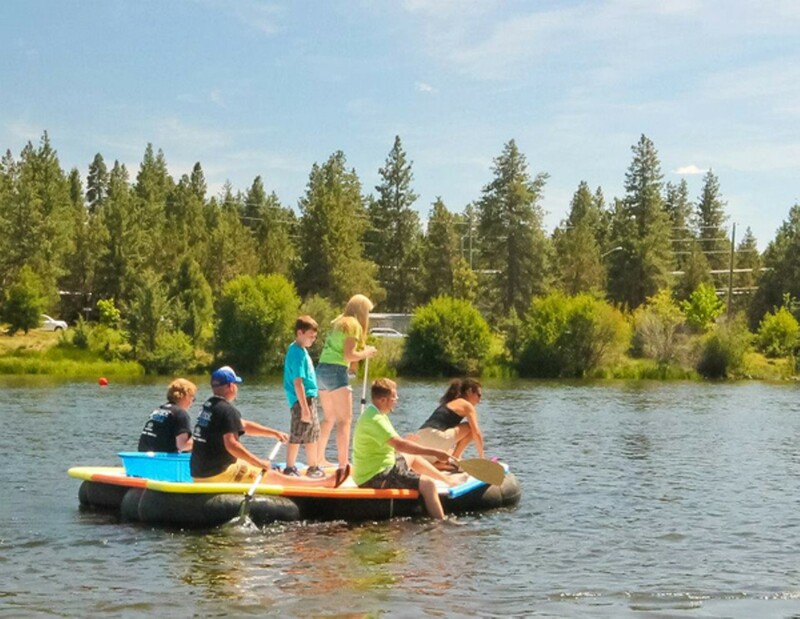 "The Outside Games are trying to incorporate all the cool activities we have at our disposal here in Bend," Platt says. Since many of the activities are competitive or require some degree of athletic skill, Platt says they wanted to have an activity that anyone could participate in. "We were thinking about the Red Bull flying apparatus thing," he adds, referencing the annual Flugtag, in which participants design and launch elaborate flying machines. His version of that vision: "People creating crazy floats to float down the river on." In past years, participants have created a living room inspired float (complete with couches), a golfing green, and a Viking ship. Platt says the best way to construct a float is to tie together four inner tubes and put a large piece of plywood on top to create a platform. But he reiterates that while people are encouraged to build floats and dress in costume, neither is required. He adds: "If you're just floating the river and happen to find yourself in Freedom Float—great!" Sat., June 28, 3 pm (launch at 3:30 pm). Riverbend Park. Free.